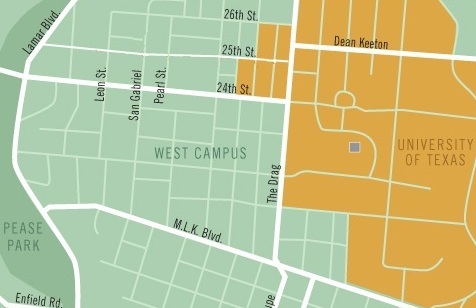 West Campus neighborhood is area in light green just to west (left) of the Drag (Guadalupe, vertical white line just to right of center). UT campus shown in orange. Map: The Galileo, rev. by ARN. 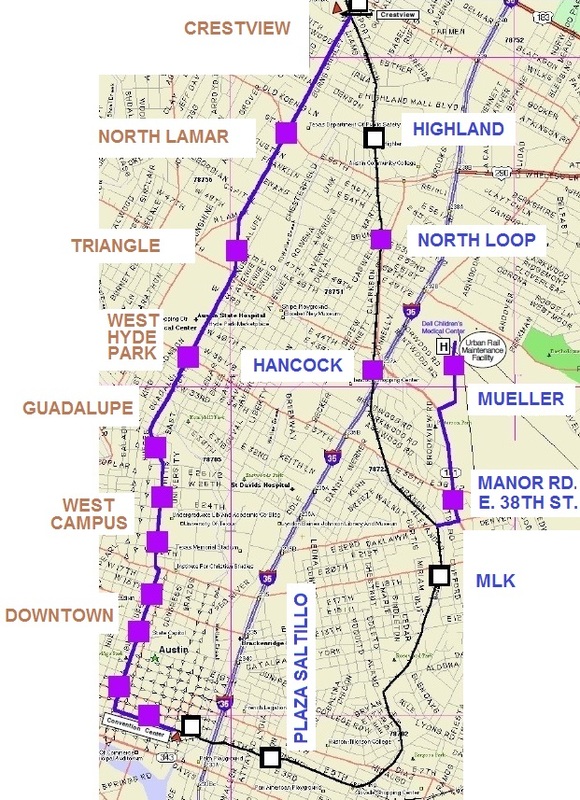 The effort to reset Austin’s urban rail planning focus onto the Guadalupe-Lamar (G-L) corridor got a huge boost on October 1st with the University of Texas Student Government’s passage of a resolution endorsing a West Campus and Guadalupe-Lamar corridor alignment for the Phase 1 starter line of urban rail — thus implicitly rejecting the officially proposed East Campus alignment and route out to the Mueller redevelopment site. 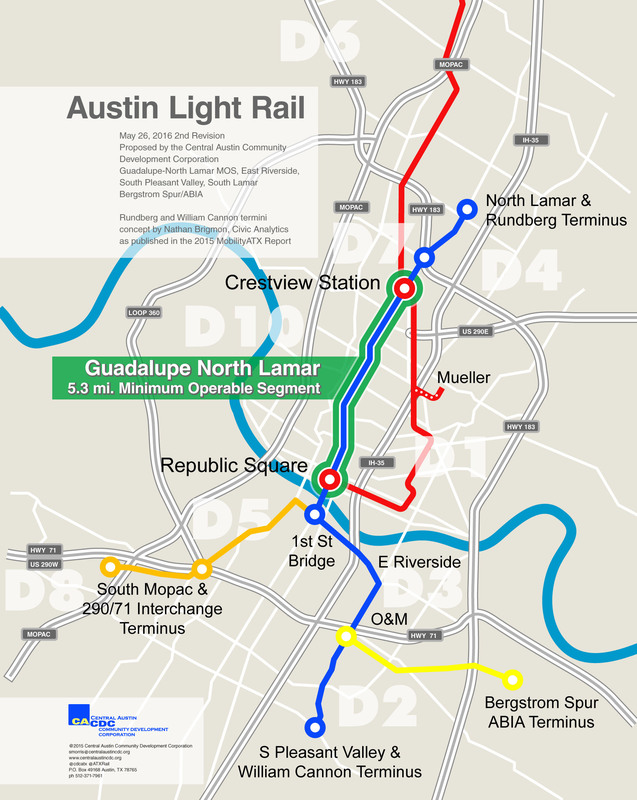 … a large majority of the student population along with a vast majority the Central Austin population lives along the proposed Guadalupe-Lamar alignment, totaling over 54,000 people within a quarter-mile to proposed stations …. 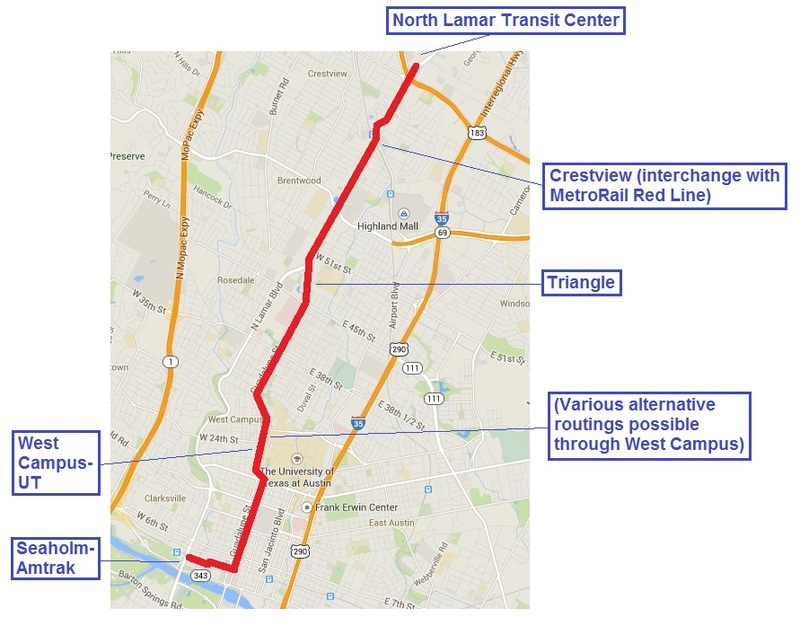 BE IT FURTHER RESOLVED, That Student Government will support any proposed urban rail line that prioritizes transportation access to where students are currently living…. Certainly, if this vote by UT’s Student Government is any guide, the majority of UT students want an urban rail route to serve the West Campus, where they can most effectively use it.